I won't lie. Seeing almost 24 hours worth of wrestling content took its toll on me. From TakeOver: New York, to the Hall of Fame 2019 Ceremony, to WrestleMania 35 and Monday Night RAW (with SmackDown Live still coming up), my brain had to process everything that happened within the last 72 hours. That's why it took quite some time to formulate a review worthy of NXT's WrestleMania weekend outing. Rest assured that this won't be a trashy review as I thoroughly enjoyed both NXT TakeOver: New York and WrestleMania 35. However, I'd like to keep the review concise and just talk about my favorite moments from each match and how I would grade them individually. Right off the bat, NXT hit it off the mark. What was the opener match turned out to be my favorite of all five matches on the show. Yeah, we all knew Ricochet and Aleister Black would most likely lose this one, but they gave the Raiders one hell of a fight before saying farewell to the NXT universe. The bout was surprisingly a balanced affair. At first, I honestly thought Ricochet looked out of place in the match but as the minutes went on the more all their styles meshed with each other. Rowe provided a good mirror match to Black's martial arts background while Hanson actually gave Ricochet a run for his money in the agility department. Not just that, but, hey, Ricochet is deceptively strong for his size, lifting Hanson for a fallaway slam. In an almost 30-minute match, it's usually hard to keep the audience glued to every exchange but this one had me waiting for every interaction. I honestly thought Ricochet died after that missed 630 Splash. I'm glad everybody was able to showcase their repertoire. The longer Black and Ricochet team up, the more natural they seem towards each other and I'm pretty excited to see them continue as a tag team on the main roster. I'm curious who'll be a good match for the Raiders now that they've basically steam-rolled over the majority of the NXT Tag Teams. I somehow wish they'd bring SAnitY back to NXT just so we can get a Hanson/Killian Dain showdown. I'll be honest, apart from WWE, I rarely watch other wrestling promotions. Not that I don't follow the others, but I have an affinity towards this product so my familiarity with the non-WWE product is hopefully excusable. Do forgive me when I say that the Velveteen Dream entrance actually reminded me of Dalton Castle. It was great and befitting for someone so out of this world that I'd like to see him embrace his outlandishness. I'd rank this my fourth (out of five) match of the night. It was mostly Matt Riddle in control via his rich MMA background–specifically, his submissions were on point. Riddle was strongly booked in this one that it's not hard to believe that we'll probably see him with a championship anytime soon in the near future. As I predicted previously, It was Dream who got the win on this one to retain via an out-of-nowhere pin during a Bro-Mission. It's great that they're giving Dream a chance to showcase the NXT North American Championship and I hope they let him run with the title for a long time and feed him more challengers so he can get the street cred and the experience. Admittedly, I didn't care much for this match. It was good, believe me, but I think I saw the result from a mile away, hence the win didn't really mean much to me. Pete Dunne had been the champion for about two years and WALTER doesn't really look like the type of guy who'd go without winning this championship. This might me be my least favorite in the card but I was impressed by WALTER's moveset and I know he'll usher in a new era for NXT UK. One has to wonder who'll challenge him next as he gives me the Brock Lesnar vibes only with the dial turned all the way to 11 so I expect he'll be champion for a very long duration. Meanwhile, I hope they bring Dunne to the main roster or at least make use of his unique skills. I seriously thought this was Bianca Belair's night. Her feats of strength, the double KOD and her escape from the Kirifuda Clutch were highlights of the match. I was dumbfounded when she tapped out but I suppose she's the youngest in the match and could chalk that up to experience. Coming out of this, I know somewhere within this year, she's got big things heading her way and before this year ends, she will definitely win the NXT Women's Championship Match. The Sky Pirates, on the other hand, worked well here that I'm expecting them to get a match against the newly-crowned Women's Tag Team Champions, The Iiconics, in the future. I'm sure that their emotional back-and-forths within the match can be worked out and that they can get on the same page again to give Billie Kay and Peyton Royce a run for their money. This begs the question, what's next for Shayna Baszler? Who's worthy enough to challenge for the title and who's someone who'll look credible enough to win against the dominant Baszler? I know that whoever defeats Shayna will gain a ton of reputation. Is it bad that I wanted Adam Cole to win? Both men put on quite a wrestling clinic and I seriously hope there's a rubber match down the line because watching these two is quite a delight to my eyes. They had the crowd split down the middle which was interesting, to say the least, since Johnny Gargano usually has the crowd behind him. The opener was just a little better executed for me or maybe I experienced burnout by this time so I felt that this match was only my second favorite of the night. I'm not taking anything away from this contest. I was seriously invested and I saw it through especially because of the high stakes it brought. That, and I obviously needed to know what's next for the black-and-yellow brand. 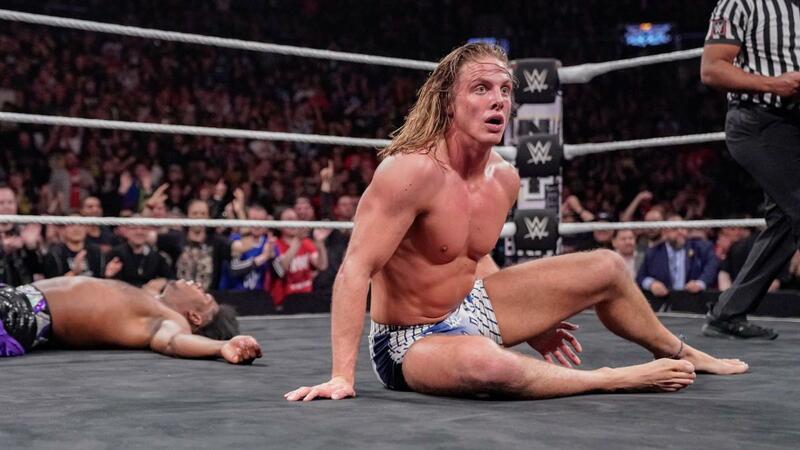 It'll be an interesting next few weeks for both men and the big question is where Cole goes from here as the Undisputed ERA has fallen flat on their promise to take over 2019. Gargano will most likely enjoy his reign, however, that final closing shot with Ciampa coming out to celebrate is a mystery that needs to be addressed. Nonetheless, the main event was enjoyable even if I felt that it went too long. The Ciampa appearance would've been awesome if he threw Gargano (or even Candice Lerae) towards the stage, but alas, it seems we're going to be dealing with a face Tommaso Ciampa when he recovers. And that, my friends, is my take on NXT TakeOver: Phoenix. It was an entertaining show, as expected from the black-and-yellow. One that kicked off WrestleMania weekend with a bang and one that will surely go down in history as an important time in NXT history. Did you enjoy the PPV? Were you happy with the results? What's your take on the winners and losers of the night? Sound off in the comments section below.